Notes:Designed in 1927, though not built until 1930, Idle Along was to give the highly successful class its name. The original drawings hang in the Heretaunga Boating Club. 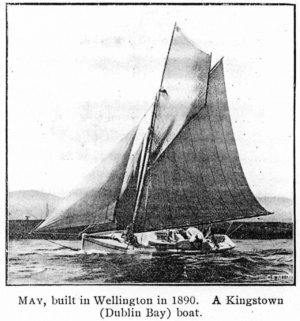 In 1951 A. Fitton drew plans for the Wellington Provincial Yacht and Motor Boating Association. They are held at the Alexander Turnbull Library, a copy may be viewed here. Spencer's drawings for a plywood version can be viewed here. Click here to find out more about the class. Notes:A highly successful racer throughout her career. 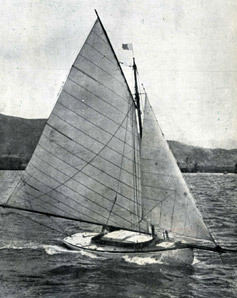 She beat the crack Logan-built Rona in the Wellington Anniversary Regatta of 1896 by a matter of seconds. This was to be her last race; she was pushed so hard that she was taken directly to Evans Bay slip. There she remained until broken up in 1898. Some of her material went in to the building of Kotiri. Notes:Considered sister to Mawhiti, though there were differences in hull form. Painted black. Rigged as a yawl at times. 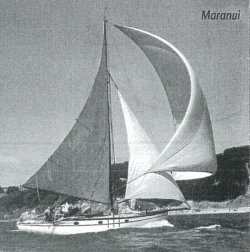 When first built, she carried Isca's old mainsail, and perhaps her lead. Deck hardware was fashioned from Tasmanian Blackwood. 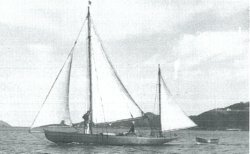 Barker converted her to Bermudan cutter and built a raised cabin. Information received from my Grandfather R. W. Avery (One of the original builders of Kotiri). The Hull was built on a cradle beside my Grandmothers house in upper Berhampore. The hull was then transported down the Berhampore street to the Port Nicholson Yacht Club. Once finished to being ready to be launched for the first time, the brothers and all who spent time in the building of Kotiri were elated to see her finally in the Wellington harbour to sail for days at a time to be sure everything was shipshape. Many months after the initial launch, my grandfather then gave my Grandmother Kotiri as a belated Wedding present. She thought this was crazy as she knew nothing about sailing so the brothers decided to take her for a sail. She was delighted but was keen to set foot on land again. This is a little more of the life of Kotiri, I am not sure if she still sails in the New Zealand waters, but whether it is true or not I heard she was bought by an American some time ago. Regards Jocelyn, Grand daughter of the late R. W Avery. Notes:Built for C J Ward of Wellington. Topsides raised 18" by Cliff Heron in 1937/8. Restored to original configuration by the Wellington Classic Yacht Trust 2010-2012. The first article below is contemporary and factual. The second article makes a lot of erroneous assumptions about her early years. 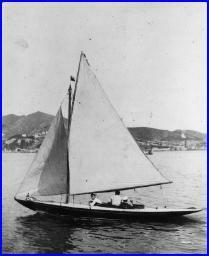 Notes:Draft 4,10, 1 1/2 tons lead ballast on keel. . Adaption of an English 18-footer. Built with a raised deck. Designed to be a cruiser, proved very successful in B class racing. 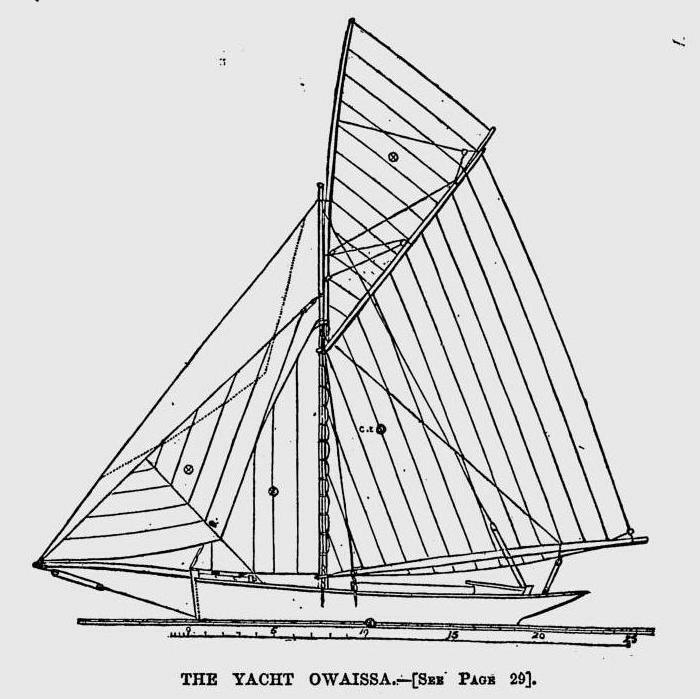 Notes:Built to a design named Owaissa from Dixon Kemp's Yachting Manual 6th ed. 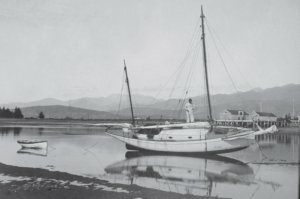 Loosed mooring in Evans Bay 1918, ran aground and sunk. Refloated several weeks later and broken up. Notes:Designed by W. Fife. Fin and bulb keel. Renamed "Essex" 1911-1913 ; Renamed "May" 1915-before 1924. Sister to Ruru. 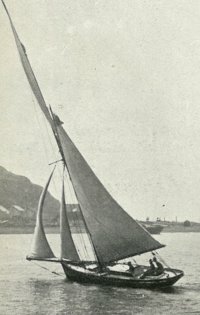 Converted to keeler ca 1912. 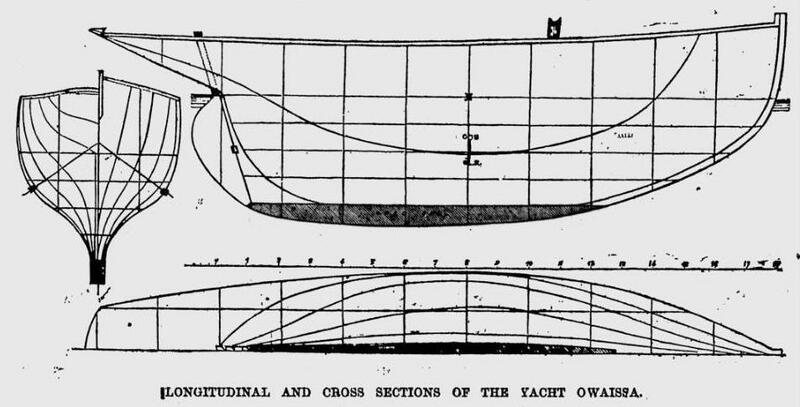 Notes:Adaption of a competition prize-winner George Holmes design as published in the "English Yachtsman" in 1899. Converted to keeler by R. G. Millman ca. 1937. At some stage renamed Ariki. Rebuilt 1957, and renamed Oyster. Returned to gaff rig 1977.